A violent knifeman is on the run after he was freed just months into a nine-year sentence because bungling court staff wrote the word on his prison form. Ralston Dodd almost killed Jerrell Holland after stabbing him three times in the back, puncturing his lung, following a row. Dodd, 25, was jailed for nine years for GBH last November for what was described as an "appalling act of violence that nearly cost a man his life". However, the thug walked free after court staff mistakenly wrote nine MONTHS instead of years on his prison form, the Sun reported. The Ministry of Justice issued a warrant for his arrest after the blunder was discovered, but Dodd is now believed to have gone into hiding. His father, Alex, told the Sun: "How can this happen?" "When my son saw him in a car he thought at first he was seeing a ghost because Ralston should be in jail." Dodd knifed Jerrell three times in the back following a gang dispute outside a housing office in Islington. The victim suffered serious injuries and was airlifted to Whitechapel Hospital in a critical condition but has since made a full recovery. 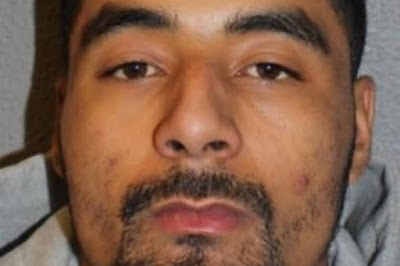 Dodd was jailed at London’s Blackfriars crown court where it is believed court staff misheard the sentence and wrote months not years on his prison form. It is not known exactly when Dodd was freed from HMP Thameside. The Ministry of Justice told the newspaper: "Releases in error are extremely rare颅 but we take any case very seriously. "We are urgently investigating so we learn the 颅lessons to prevent it 颅happening again. Public protection is our priority. "A warrant has been issued and police are pursuing the offender." » Have You Ever Been A Victim Of A Mistake By A Health Personnel?